The Raiders react to their defeat in the IHSA Supersectional. 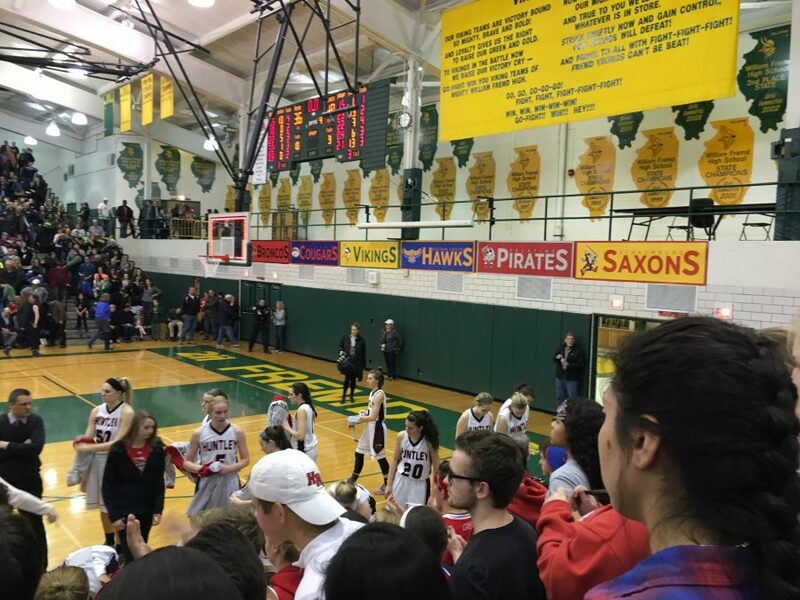 After an undefeated conference season, Huntley High School’s girls basketball team was defeated by Fremd on Monday night in the IHSA Supersectional. They ended their season with a 30-4 record. In the Fox Valley Conference, Huntley beat Grayslake Central 47-23. That night, Coach Raethz earned his 300th career victory. That lead to Huntley defeating DeKalb 66-41, and Rockford Auburn 66-40 to win the regional championship.The Red Raiders defeated Crystal Lake South 56-43 and Hononegah 49-38 to secure a sectional championship and a place in the supersectional held at Fremd. The crowd looks on after the Red Raiders were defeated by Fremd (D. King). The game against Fremd began with Huntley leading 12-7. By halftime, Fremd led Huntley and continued to maintain a lead throughout the game. Into the fourth period, senior Ali Andrews fouled out. The Fremd student fan section hollered and cheered as Huntley’s star player exited the game. Raider Nation began to feel discouraged as the game, and the Raiders season, came to an end. 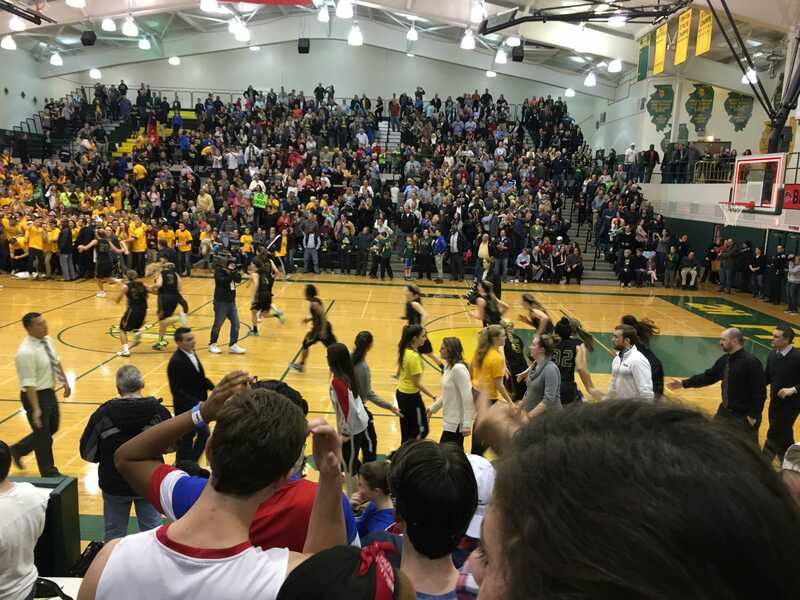 Fremd won the supersectional game 48-36. Huntley’s girls basketball team had also been defeated last year by Fremd in the supersectional game. “We could have communicated better about what play we wanted and actually run that play,” said sophomore Jackie Dorin. The game had its ups and downs but when it came to the ups, Huntley definitely stood out when it came to rebounds. The player that caught viewers’ eyes was junior Morgan Clausen. She always had her hands on the ball and was very aggressive when it came to rebounds. “We were getting a lot of the rebounds at the beginning of the game, boxing them out, getting a lot of offensive boards,” said Dorin. For seniors Lexi Lowitzki, Kayla Barreto, Paige Renkosik, Danielle Nichols, Teagan Papka, and Ali Andrews, it would be their last high school basketball game. Of the six seniors, Andrews will be continuing her basketball career at University of Illinois. The Fighting Illini are members of the Big Ten Conference.